Established in 1981 by Giorgetto Giugiaro, as a continuation of the design experience started in the seventies within Italdesign, Giugiaro Design has steadily grown over the years, leading a close-knit and highly qualified... Read more team of design and business professionals in line with international market trends and expectations and offering a user-centered functional design. Today Giugiaro Design is based in the Moncalieri HQ and ranks among the leading companies in the field of industrial design worldwide, for its size, for the variety and quality of its services, its know-how and activity on the international markets. At the base of Giugiaro Design's versatility is the adoption of a working method divided into various steps. 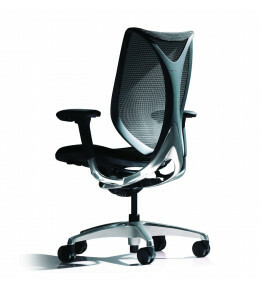 CP Office Chairs: award-winning ergonomic seating design also known as Baron CP Task Chair. Available in 12 colours. 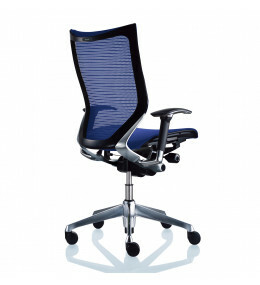 Sabrina Standard Office Chair is an ergonomic task chair with forward tilting seat and synchro-reclining technology. Sabrina Smart Operation Office Chair allows various adjustments via intuitive operations while you remain seated. 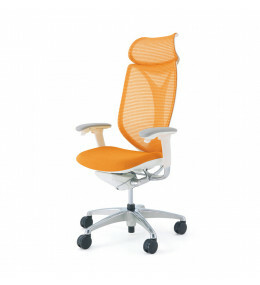 Luce Office Chair is intended for hotdesking and agile working. 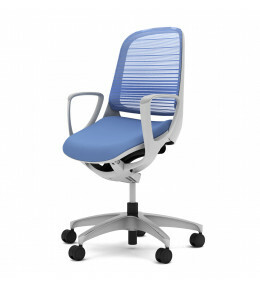 Ergonomic design makes this a smart office task chair.